It may seem like I’m a little obsessed with leftovers. It’s true. But Thanksgiving always leaves you with so many of them. Even though we didn’t cook this year, we still ended up with a few nights worth of holiday food. I wanted to spice things up a little bit, just so we weren’t having exactly the same meal over and over. Hence the creation of the Thanksgiving leftover hot pocket.
) and assemble as if you were making ravioli. 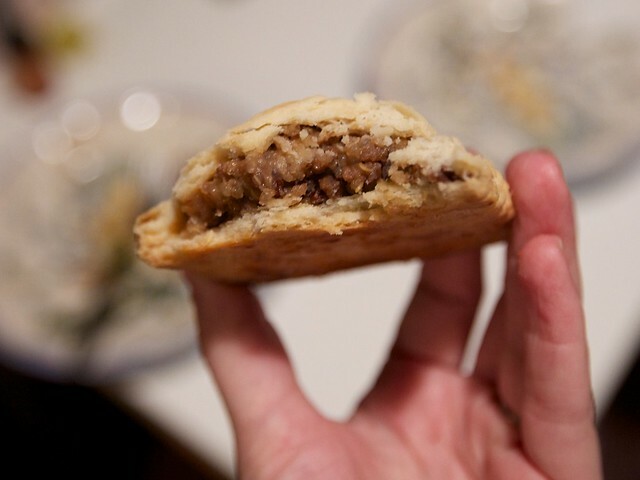 You could easily use puff pastry if you didn’t feel like making a crust. Start by preheating your oven to 425° F. Roll out your crust (or one sheet of puff pastry) and set aside one half. Put a few tablespoons of stuffing or tofurky or whatever leftover you want in a grid on the dough, leaving about an inch between each filling. The next part is really important, you must drizzle a little bit of gravy over your filling. Make sure the filling isn’t piled too high or your crust may crack. Carefully lay the other half of the crust over the prepared fillings. Press the spaces between each filling together with your fingers, starting in the center and working your way out. It’s ok if a little bit of gravy or whatever leaks out the side, but try to seal it best you can around the edges. 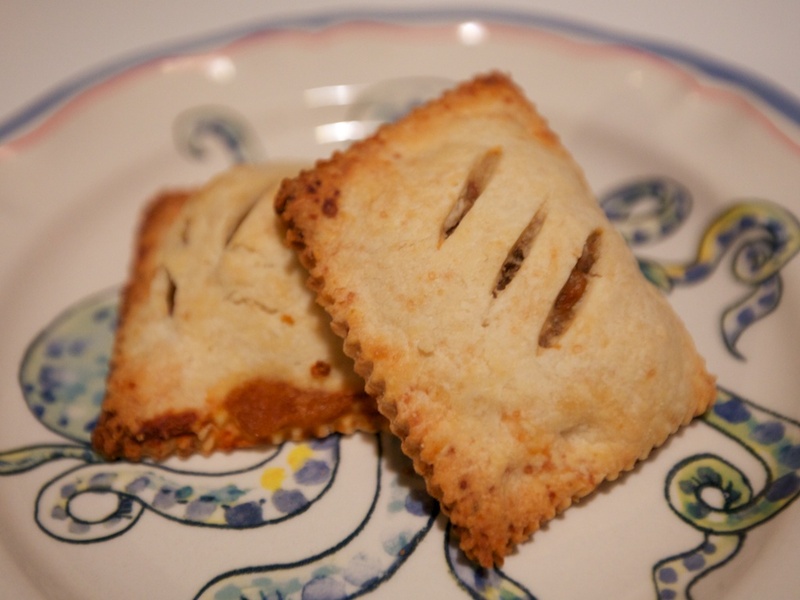 Using a pizza cutter or a pastry cutter, cut the hot pockets into individual pies. Slice a few diagonal slits in the top of each. Transfer to a baking sheet and cook for 20-25 minutes, or until golden brown. These would also be great with your holiday meal, they’re not just good for leftovers. Let’s face it, everything is better in a pie crust. 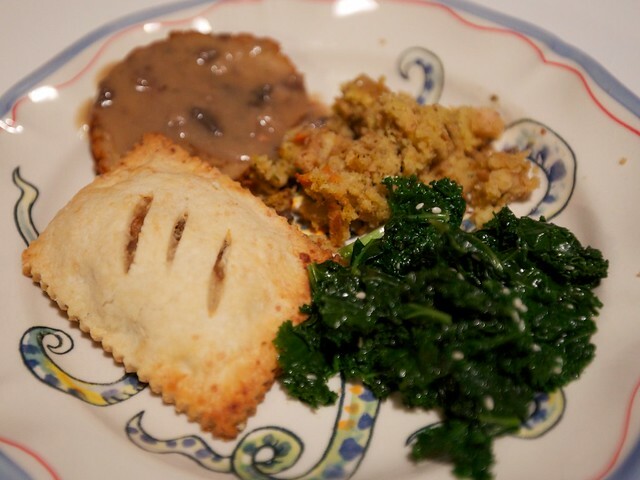 We had ours with some celebration field roast, more stuffing and some kale. The bottom line is that pretty much anything is good in these. Get creative. If you want them filled with sweet potatoes and dandies, I’m sure they’d be extra awesome. Feel free to keep them simple or get crazy. These are so awesome I can hardly stand it! That plate of food looks like heaven. I swear to you that I gasped out loud when I first read this headline. These look amazingggg! gah, genius! i voted for hot pockets, so i’m so glad to see you made these! i really want to try to make a vegan version of the cheese and pepperoni hot pocket. that was my favorite. Brilliant!!! If I had any leftovers I would be doing that for sure! is that an octopus plate? how charming! Baaa!! Unless you are willing to buy the Vegan cookbook, you can’t get the “flakey crust recipe”. Thanks anyway!